Even though the summer heat can feel unbearable at times, I love this time of year in Houston! There are so many fun things happening to take your mind off of sweating as soon as you walk outside. :) I've put together a list of things I want to do this summer in addition to my summer norms - eating popsicles on a daily basis, hanging out in water as much as possible and grilling out on the regular. What do you have planned this summer?! I'm so excited to head to Wine & Food Week in The Woodlands next Friday! Trent and I are attending the Sips, Suds & Tacos event on June 8th and making a little staycation out of it at The Woodlands Resort. This is my first time attending but I can't think of a more perfect summer event - gimme all the tacos and wine tastings! Tickets are only $25 each so it's a pretty affordable night out. I've included the details for the rest of the events below and you can read more details here! If you plan to attend, comment below. I'd love to meet you! 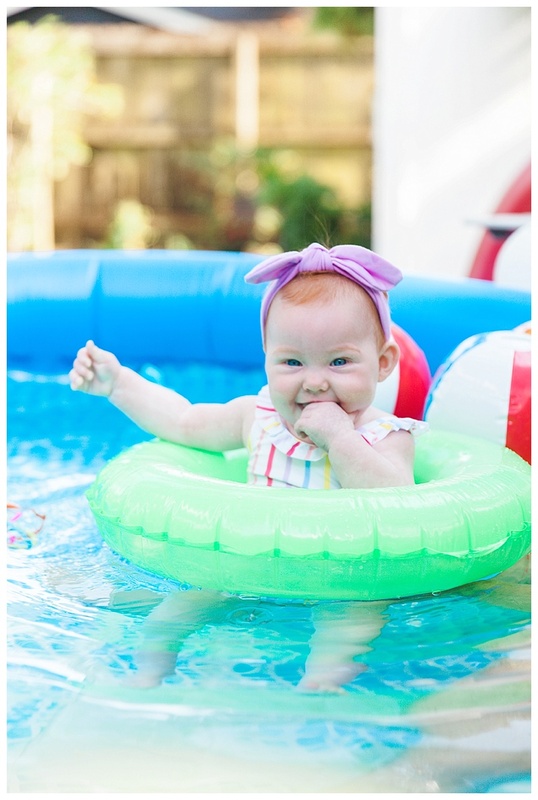 We purchased the most epic inflatable pool to help beat the heat and it's already such a hit! We had a few friends over on Memorial Day to swim and we already ordered a bigger one. 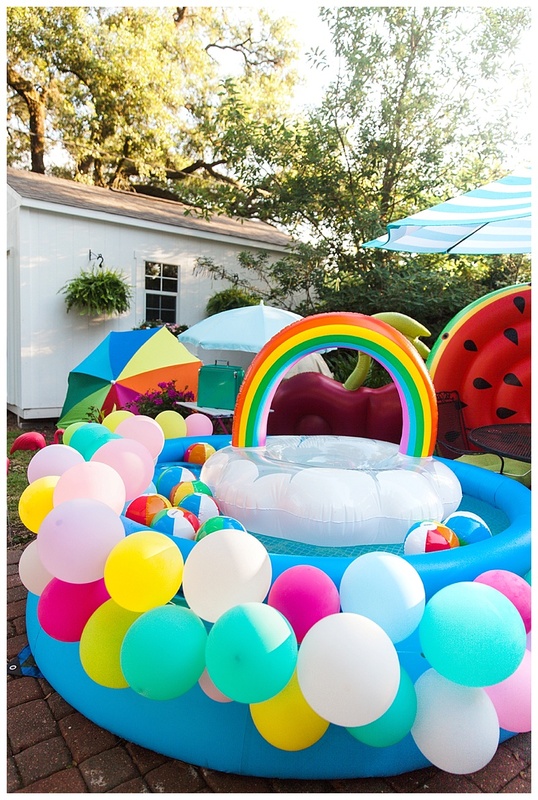 Our impromptu gathering on Monday was pretty last minute but once we get the bigger one set up, I want to have a real pool party and put all my floats to use! Piper is FINALLY starting to hate her carseat less so I'm dying to take her on a little trip to the coast! Trent and I met at a friend's beach house in Galveston nine years ago today (!!!) and it would be so fun to take her back there. Still deciding between Galveston and Kemah but whichever we decide I know it will be so fun! 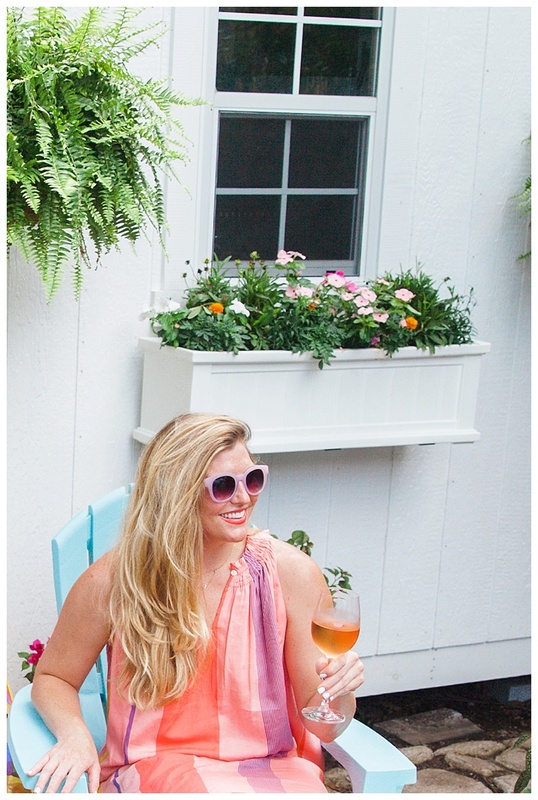 I've shared several snaps and photos of our screened porch we recently redid but I'm waiting for a couple pillows to come in next week and I'll do a big reveal! I love the space so much and it's perfect for entertaining. The mornings still feel really nice so I'm planning a little brunch with some of my favorite mamas and their babes! My mom, sister and I have been talking about a little staycation since our guys all went to The Masters in April. We don't have any plans set in stone yet, but I always love how a staycation can make you feel like a guest in your own city! It's such a treat!